Stress can affect your mood, behavior, and actions. More importantly, stress can also affect your immune system. Melanie Warner, author of THE MAGIC FEATHER EFFECT, explains the science behind how anxiety can negatively influence our bodies’ ability to fight off illness and disease. Research done over the past three decades has repeatedly shown that in addition to making us crabby and irritable, stress can cause depression, create anxiety and sleeping difficulties, increase pain, sap energy, and promote muscle tension. Even more troubling, it can encourage inflammation and throw our immune systems off-kilter, which may contribute to the development or exacerbation of such problems as heart disease, type 2 diabetes, and autoimmune disorders such as rheumatoid arthritis, multiple sclerosis, and psoriasis. That this can happen—that stress stewing in our heads can burrow its way deep into the organs and tissues down below—has everything to do with the evolutionary fight-or-flight response that’s part of our sympathetic nervous system. When we feel intense fear or panic, our brain’s amygdala sets off a rapid-fire chain of nerve signals to the hormone-secreting glands of the body’s endocrine system. First, the messages travel in the brain to the nearby hypothalamus, then down along nerves to the adrenal glands, which are perched atop the kidneys like hats. There, the hormones (and neurotransmitters) adrenaline and noradrenaline are released, which sets into motion a series of events that get our body ready to fight or to flee. Our hearts beat faster and our blood pressure escalates to send more blood to the arms and legs. Breathing becomes more rapid so we can take in more oxygen, some of which gets sent to the brain to increase alertness. Extra glucose and fat are released for energy. It’s a handy mechanism for short-term situations in which we need to act quickly to avoid getting mauled or run over. The trouble occurs when stress is the perpetual, non-life-threatening variety. Low-level fear, anxiety, frustration, worry, anger, and other adverse emotions also activate this sympathetic nervous system, albeit to a lesser extent, resulting in continuously elevated levels of hormones like adrenaline, noradrenaline, and cortisol. This all sounds worrisome, and it is, but it wouldn’t be nearly so troubling if not for what was discovered in the early eighties. Immunologists used to think that the body’s immune system for repairing itself and fighting off infection—its many white blood cells such as T-cells, B-cells, natural killer cells, neutrophils, and macrophages— was a self-contained unit. Then in 1980, scientists working with mice at the Indiana University School of Medicine found a network of nerves inside glands that led to cells of the immune system. Not long after, University of Texas researchers revealed that human immune cells were capable of producing those same stress hormones that are generated by the pituitary and adrenal glands. At first, some scientists insisted these results must have been a function of dirty test tubes—white blood cells of the immune system were supposed to be distinct from the hormones of the endocrine system. But a few years later, others replicated the findings and discovered that not only did immune cells produce adrenaline and noradrenaline, they also had receptors for receiving them. This meant that the nervous, immune, and endocrine systems were intimately and dynamically linked, which was big news and spawned the new field of psychoneuroimmunology. 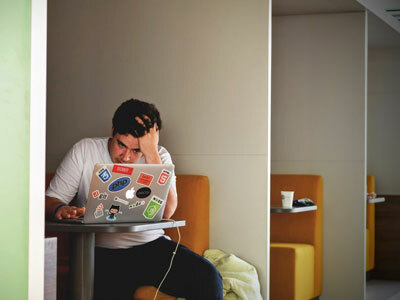 It also meant that stress had a pathway to meddle in immune responses, the reason being, some have theorized, that in prehistoric times acute bursts of stress often meant the likelihood of an injury and thus our immune systems needed to be ready. 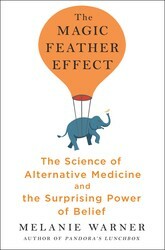 Find out more about how stress can affect your body in THE MAGIC FEATHER EFFECT by Melanie Warner! Excerpted from The Magic Feather Effect by Melanie Warner. Copyright © 2019 by author. Used by permission of the publisher. All rights reserved. We all know someone who has had a seemingly miraculous cure from an alternative form of medicine: a friend whose chronic back pain vanished after sessions with an acupuncturist or chiropractor; a relative with digestive issues who recovered with herbal remedies; a colleague whose autoimmune disorder went into sudden inexplicable remission thanks to an energy healer or healing retreat. The tales are far too common to be complete fabrications, yet too anecdotal and outside the medical mainstream to be taken seriously scientifically. How do we explain them and the growing popularity of alternative medicine more generally? Is there a biological basis for practices like acupuncture, tai chi, chiropractic, and energy healing? Who are the faithful patients and practitioners who tell these stories and speak of such mystical-seeming concepts as qi, chakras, and meridians in the first place? Author and journalist Melanie Warner attempts to answer these questions, taking us on a vivid, fascinating journey through the world of alternative medicine. Crossing continents and sides of the debate, visiting prestigious research clinics and ordinary people’s homes, she investigates the scientific underpinning for the purportedly magical results of these practices and reveals not only the medical power of beliefs and placebo effects, but also the range, limits, and uses of the surprising system of self-healing that resides inside us.